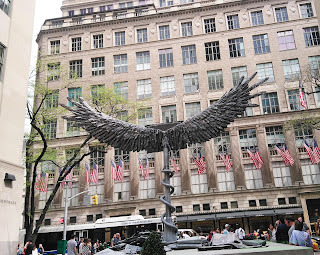 Public Art Fund is an independent, non-profit arts organization founded in 1977 that presents contemporary art in New York City's public spaces. Tishman Speyer Properties is a company, founded in in 1978 by Robert Tishman and Jerry Speyer, that invests in real estate. Lawrence Gilbert "Larry" Gagosian is an Armenian American art dealer who owns the Gagosian Gallery chain of art galleries. 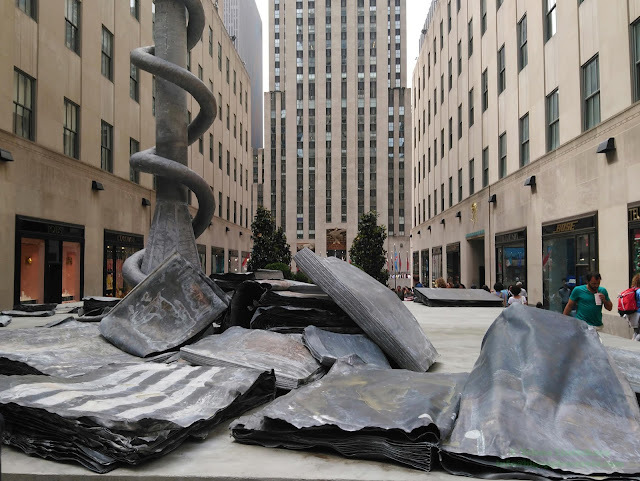 Together with Gagosian, Tishman Speyer, and the Public Art Fund, German artist Anselm Kiefer unveiled a site-specific commission for Rockefeller Center. 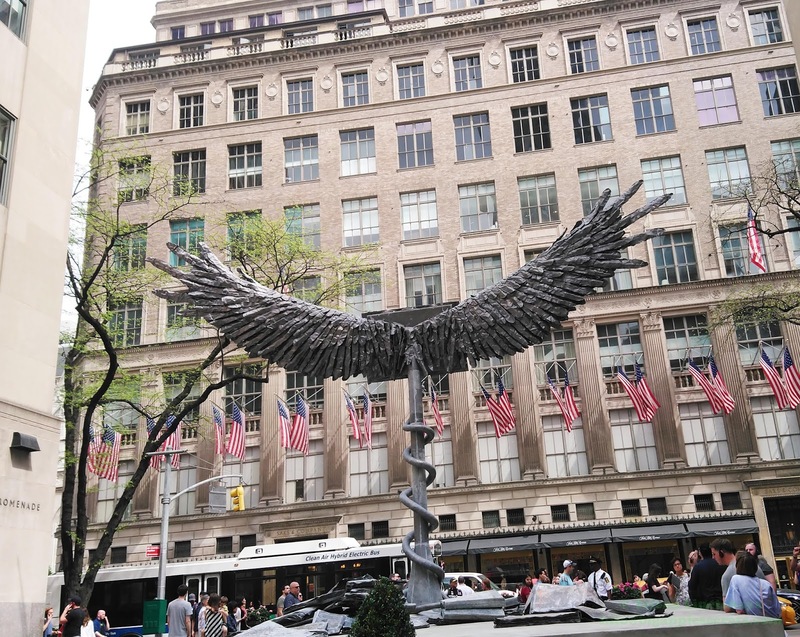 Anselm Kiefer is the German artist known for his monumental paintings and installations layering history, culture, religion and mythology. He has achieved critical acclaim for his monumental body of work, which directly addresses questions of collective memory and national identity in Germany after World War II. Kiefer lives with his teenage children outside Paris in what used to be a department store warehouse. He moved there after running out of space at his 200-acre estate in the south of France , transformed into a dystopian landscape of teetering towers and tunnels to nowhere. One day, after his death, Kiefer hopes it will open to the public as a museum. Throughout his nearly fifty-year career, the German artist Anselm Kiefer (born 1945) has never been afraid to wrestle with the past. Kiefer’s first major work was 1969's Occupations: a series of still controversial photographs depicting the artist in his father’s military uniform and performing the Nazi salute, a gesture banned in Germany since 1945. Kiefer visited places across Europe that had experienced blitzkrieg operations by the Panzer divisions of the German armed forces, and captured himself saluting the scenery. 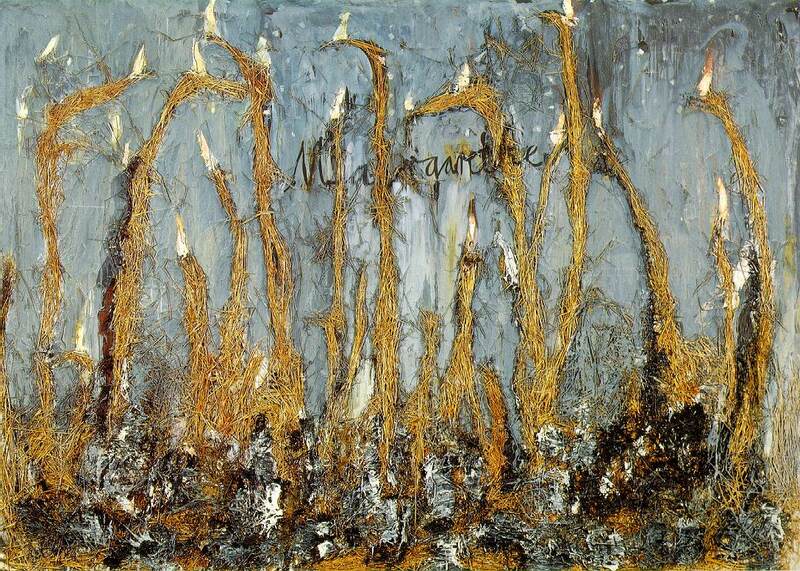 One of Kiefer best-known works, Margarete deals with themes related to memory, loss, and German history. As the culminating piece in a series, the painting is inspired by Romanian poet Paul Celan's searing work "Death Fugue," which recounts his incarceration in a Nazi concentration camp. 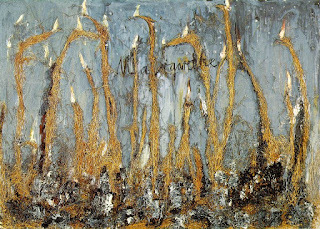 Kiefer first visited New York in 1971 when he was a student. Later he said: “I’ve always been a builder. For me, a painting is never finished It changes all the time Kind of like the New York skyline—proof that all that glitters is not gold.
" 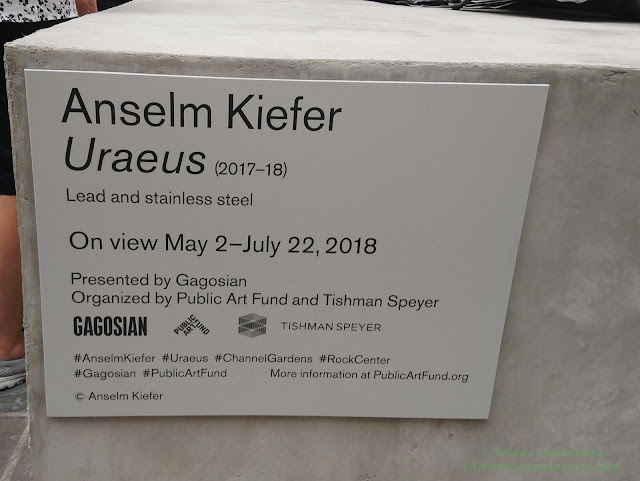 Provocations: Anselm Kiefer" at The Met Breuer that featured 34 works on paper and one painting closed a month ago, on April 8, 2018. 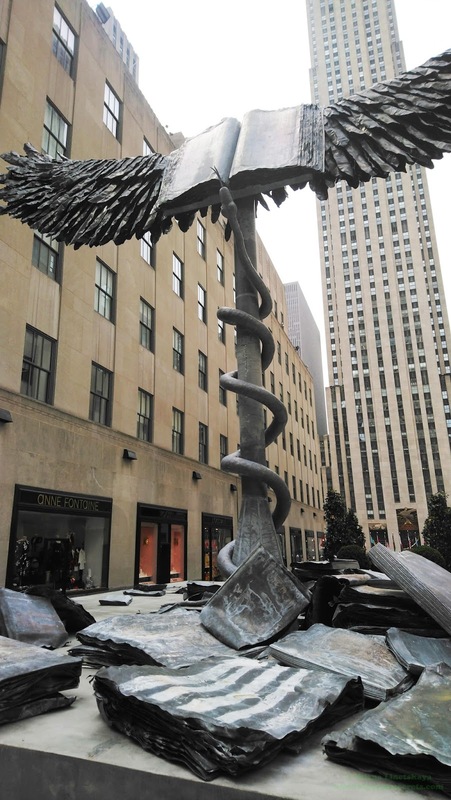 Uraeus, the artist’s first site-specific outdoor public sculpture in the United States is installed at the top of Rockefeller Center’s Channel Gardens, facing Fifth Avenue. 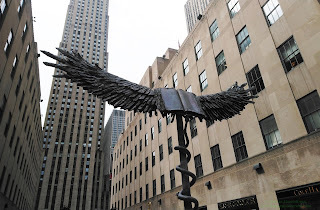 Tremendous wings span 30 feet; at their epicenter, an open book sits atop a soaring column. 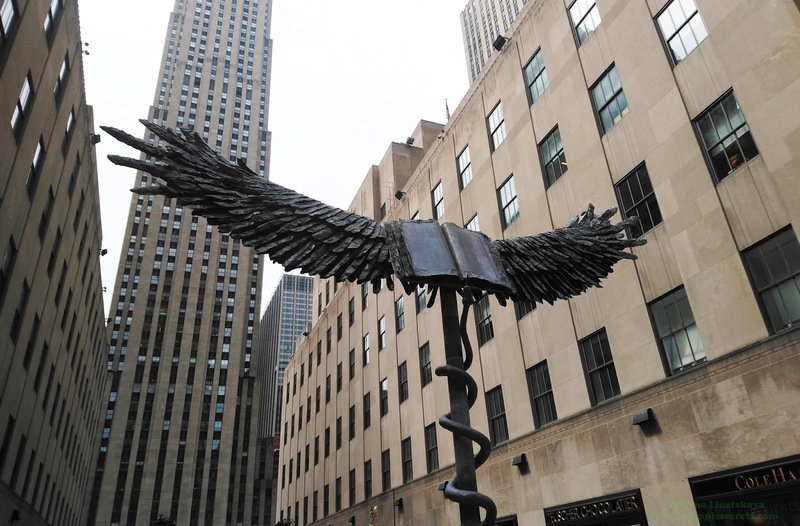 A snake is wrapped around the supporting post, at the base of which more books lie. Originally, the uraeus is the symbol of the Lower Egypt patron goddess, Wadjet. She is believed to take the form of the cobra on land and having her on the crown of the king would signify her protection from enemies. It is usually seen on headdresses, crowns and the brow of statues of kings and queens . The Uraeus rearing cobra symbol was one of the most potent symbols of ancient Egypt symbolizing the absolute power and authority of the gods and the Egyptian monarchy. 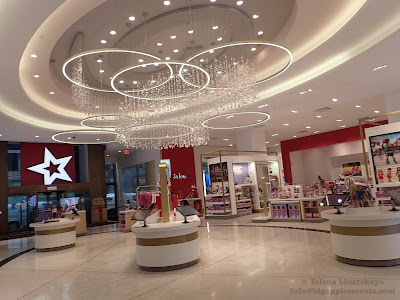 The snake also bring to mind the myth of the phoenix emerging from the ashes, as well as the Biblical snake, the medical symbol and other iconography. Influential German philosopher Friedrich Nietzsche (1844-1900) is known for his writings on good and evil, the end of religion in modern society and the concept of a "super-man." Certain aspects of Nietzsche's work were used by the Nazi Party of the 1930s–'40s as justification for its activities; this selective and misleading use of his work has somewhat darkened his reputation for later audiences.
" 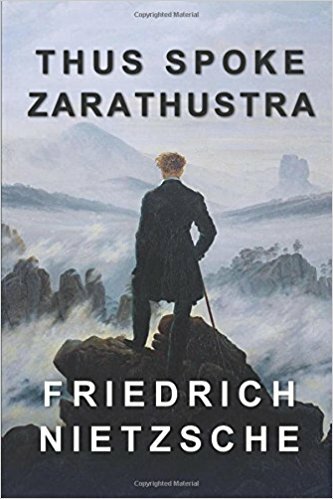 Thus Spoke Zarathustra: " is one of the most explosive books ever published, filled with radical ideas and vivid imagery, it takes the form of a prose poem, recounting the story of a prophet, who descends from the mountains to preach to mankind. Among the many philosophers, thinkers and writers who drew on the work were Heidegger, Freud, Jung, Kafka and D. H. Lawrence, while Richard Strauss, Gustav Mahler and Frederick Delius all composed music using text from the book.